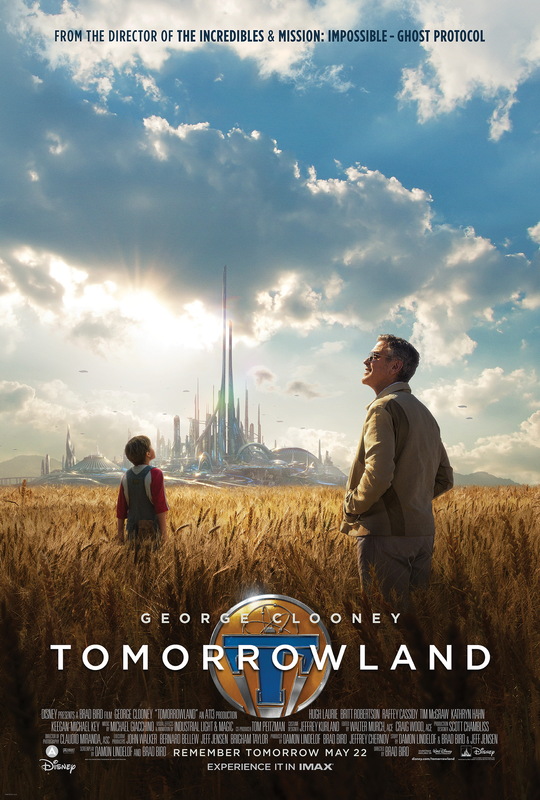 Disney does sci-fi in this epic family adventure, starring George Clooney, Britt Robertson and Hugh Laurie. 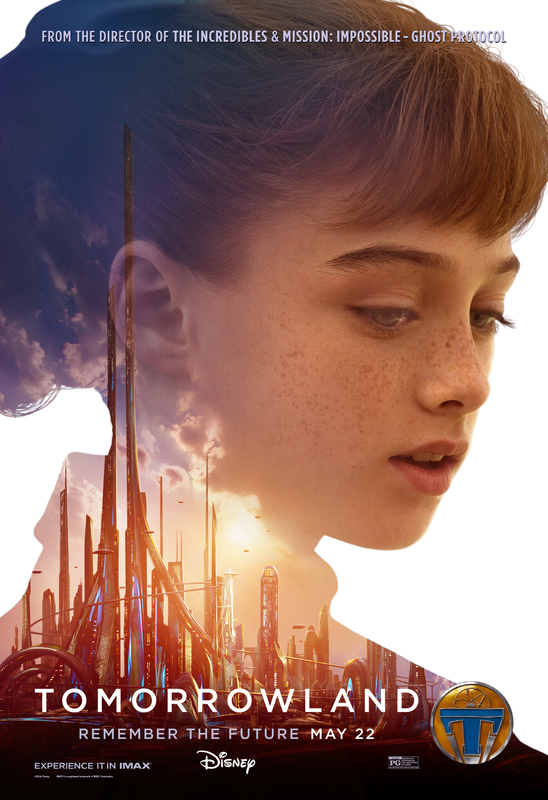 Disney doesn’t often dabble in science fiction, which is a shame because when it does, it usually gets it right. Flight Of The Navigator was a great kids fantasy movie, but for me Escape To Witch Mountain was the one, probably because I saw it at the cinema when it came out in 1975. 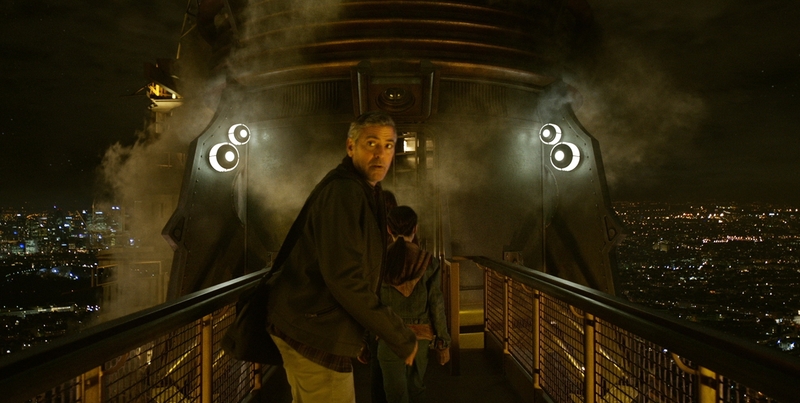 It might even be one of the reasons I love sci-fi to this day ..
From there, the movie jumps back and forth between Clooney as a small boy – played brilliantly by Thomas Robinson who has more than a passing resemblance to the superstar – visiting the World’s Fair in New York in 1964, and the present day. The latter part of the tale revolves around young science whiz and space nut, Casey, whose father is a soon-to-be-redundant NASA engineer. Blessed with a brilliant mind and supreme determination, Casey is trying to prevent the local rocket base being dismantled: on the one hand because her dad will be out of a job, but mainly because she fervently believes we should continue to explore the universe around us. 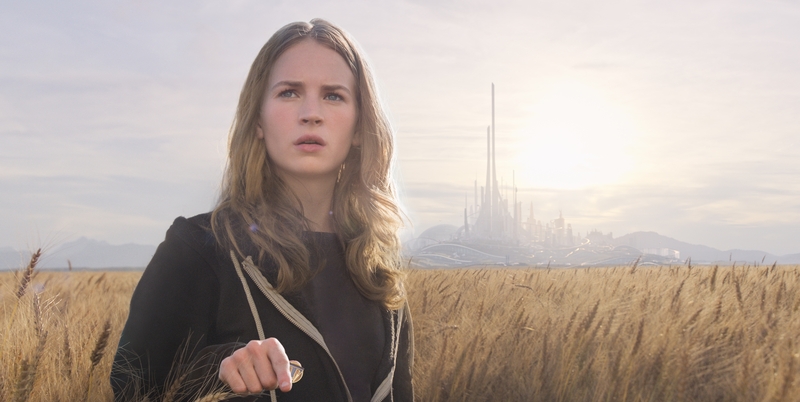 The two sides of the Tomorrowland tale are brought together when Casey discovers a pin badge that somehow transports her to another place (and time?) when she touches it. One minute she’s on her father’s dusty farm, the next she’s in a cornfield with a glittering skyscraper city looming large in the distance. Being the supercool nerd that she is, she tracks down where the badge came from and enters a whole new world of pain, as there are forces at work now tracking her and the badge itself, chasing her, hunting her .. which is where another young girl enters the picture, Athena. Athena is strangely mature – despite clearly being younger than Casey – and a little detached, but faced with no other options, Athena goes along with her in an attempt to find out just what is going on .. Meanwhile, in 1964, young Frank is trying to enter his jet pack in the inventors’ competition at the Fair. To be fair to the lad, it does work .. kind of. The way the story unfolds is highly original, involving a brief history of 20th century science, featuring the likes of Tesla and Edison, some magnificent locations – the Eiffel Tower has never looked better or been used more creatively – and lots of gadgets, robots, laser guns and a time-travelling bathtub. The badges are quite a story in themselves, acting as an early kind of pre-internet, pre-head-hunting marketing tool. I can’t really tell you much more about the story without giving it away, but as you might expect from any American family movie, but particularly one from Disney, there’s always going to be a moral in there somewhere. For once, this one isn’t your typical “let’s all just try and get along” message – it’s far more important than that, and yet it’s also oh so familiar to hardened fans of science fiction. I was reminded of The Day The Earth Stood Still near the end of this picture, another touch-stone in my own love of genre, and thinking about it all later I realised that nothing much has changed in the 65 years between the two movies being made. 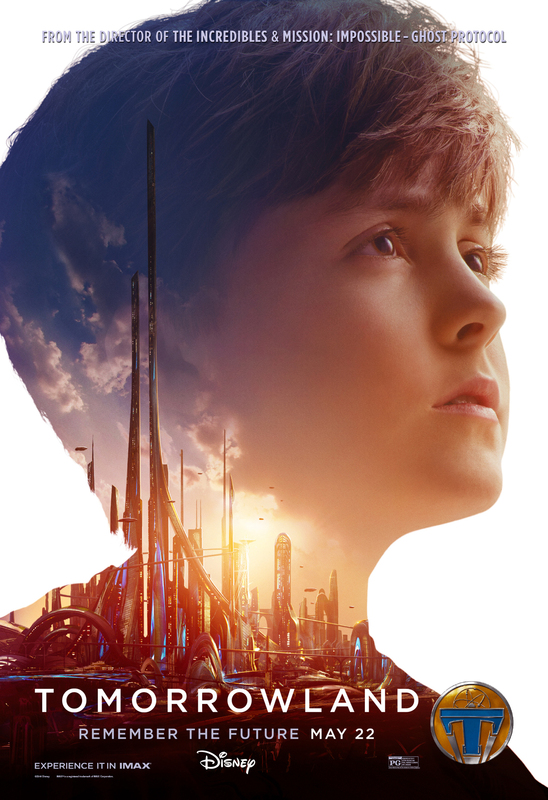 For me, Tomorrowland serves three purposes: to entertain (check), to educate (check) and to get kids into sci-fi (check, check, check). Yes, it’s a bit cheesy at times. Yes, it’s a bit predictable. 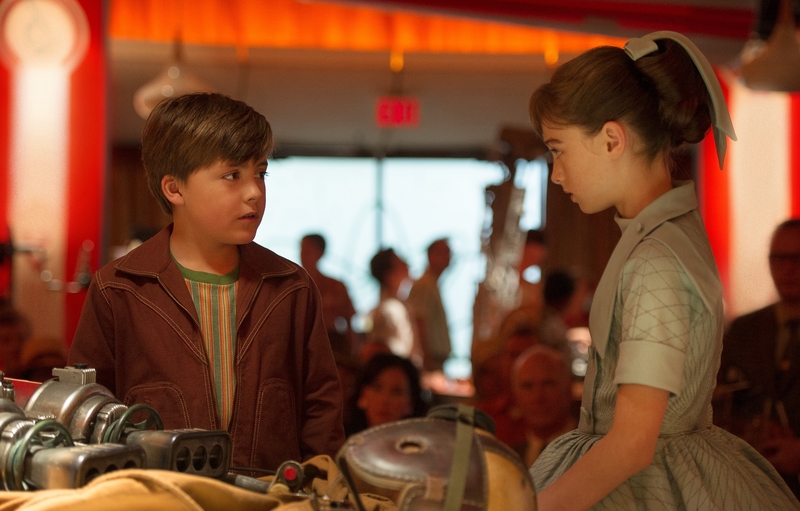 But it’s also quite left-field for a mainstream family movie and there’s loads of great ideas wonderfully executed in here. My one criticism is that it’s a little long so you might not want to take anyone under, say, 8 years old to see it in case they get bored or twitchy. Other than that, it’s an ideal picture for a gloomy Sunday. This entry was posted in blogging, Media, Movies, Opinion piece, Review and tagged adventure, children's fiction, clooney, Disney, Disney movie, earth, ecology, eiffel tower, environment, fantasy, film, future, George Clooney, green, interstellar, mars, movie, paradox, Paris, review, saving the planet, sci-fi, science fiction, space, space travel, steampunk, tessla, time paradox, time travel, Tomorrowland, Walt Disney by rigger67. Bookmark the permalink.